After the palov recipe with a pressure cooker, I had many requests to post an original way of making Palov. This is a very basic recipe with step-by-step instructions and pictures. While I try to make it easier to follow it by looking at the pictures, please carefully read the instructions above each set of pictures before you proceed. I hope this recipe can be a guide to anyone who is looking forward to making this delicious dish. It is essential to know your rice before making Palov. I highly recommend reading the part where I talk about rice in the Uzbek Palov recipe I wrote earlier. 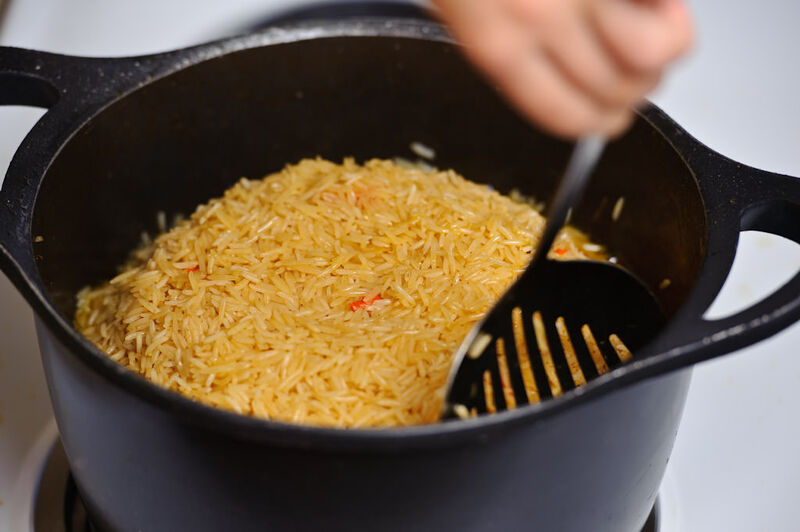 When fully cooked, rice should keep its shape, but should not have a hard spot in the middle OR it shouldn’t be too soft and sticky. 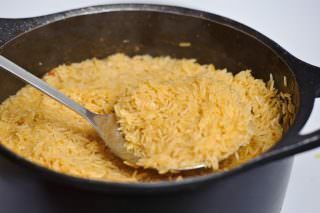 Another good alternative to Uzbek rice is a “parboiled rice”. Beware though, as it takes more time to cook (extra 15 minutes at the final stage). It is firmer and less sticky than “Botan” and “Arborio”. Nutrition-wise, parboiled rice is the closest to brown rice. 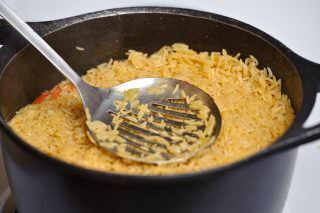 If you have any questions about the type of rice you want to use, or about the process of cooking, please feel free to leave a comment on the bottom of this page. I will respond promptly. 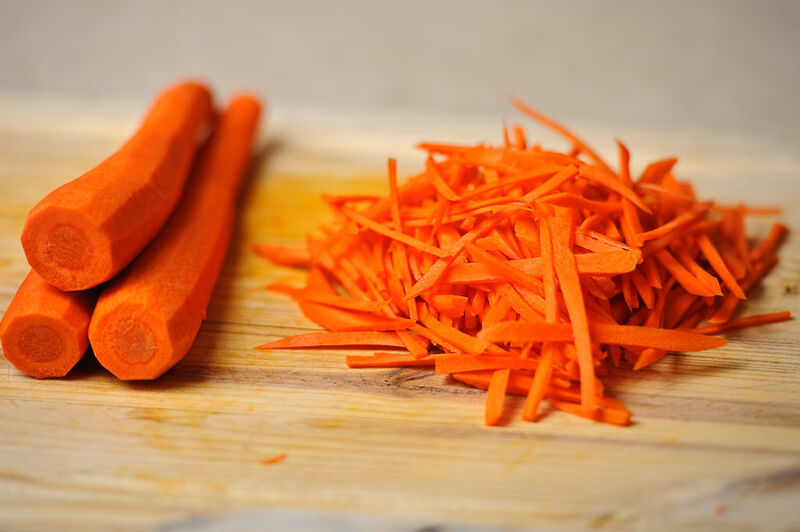 Clean, wash and julienne carrots like in the below pictures. 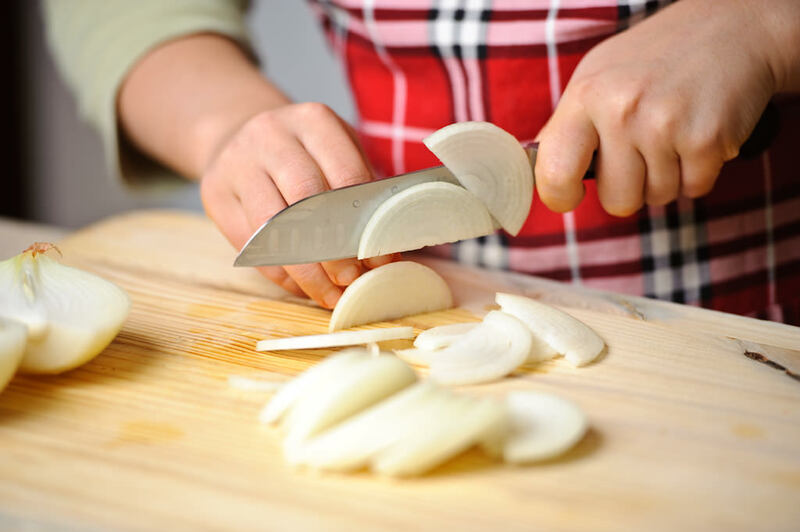 Cut the onion in half circles measuring 1/4 of an inch. Keep the meat in bigger chunks. The reason why I asked to obtain lamb on the bone is to have a nicely flavored bullion. Bullion is ultimately going to give a delightful taste to the rice. If you are purchasing your meat from a butcher shop they always have meat on the bone. 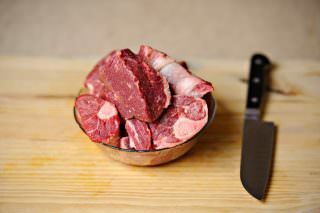 If you do not have the bony meat under your discretion, don’t worry about it and proceed with what you have. Heat the medium cast iron pan or a regular non stick pan. 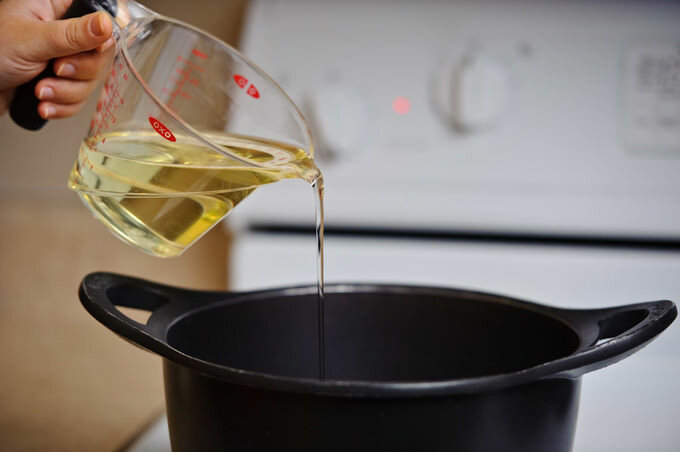 Add the oil and heat it on high heat until you see a slight smoke (do not wait too long). Using a skimmer carefully and slowly lower the meat in to the oil. 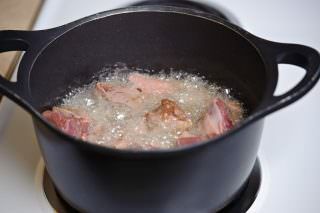 You should immediately see the boiling sensation around the meat. Keep on each side for 30 seconds and keep frying until desired color is reached. Remember you are frying the meat on a high heat. 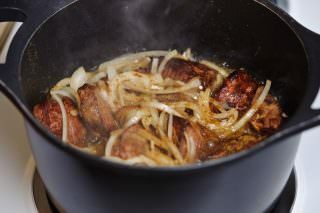 Once the meat has a slight brown crust put the onions on top. Add pinch of the cumin half of the salt and the black pepper. Mix everything well and keep mixing to prevent the ingredients from sticking to the bottom of the pan. Since you are cooking on high heat these steps are going to happen quickly. Stay on top of everything. 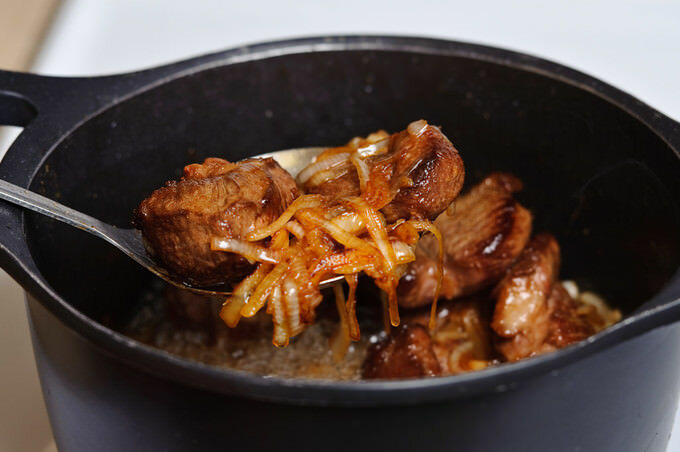 The reason why the main ingredients are cooked on high heat is to have nicely caramelized and tasty base. Be sure not to overdo it. If you think you are more comfortable cooking on lower heat, by all means, do so. Color of the onions is the essential element do determine the color of the Palov. 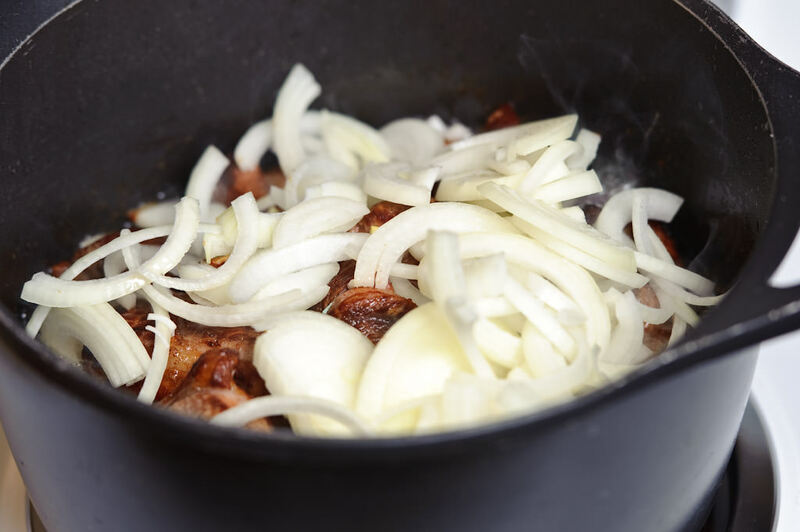 If you are aiming for a lighter color Palov, there is no need to much caramelize the onions. If you like a darker version, caramelize the onions nicely as shown in the picture below. Once the onions reach the desired color, put ready carrots in the pan. Add remaining salt and cumin. Stir everything well and fry until carrots are relatively soft. 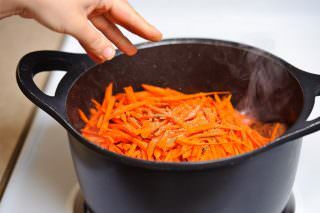 Keep stirring every 30 seconds to prevent the carrots sticking to the bottom of the pan. Once the carrots are ready turn the heat down to medium (5 in electric stove tops) and pour previously prepared 8 cups of boiled water. Water will start simmering but not boiling. Add the garlic bulb, push it deeper in to the bullion and let everything simmer on medium heat for 1 hour. Meanwhile, depending on the type of the rice you are using, wash it thoroughly. Sometimes it takes multiple washes to get the starch out of the rice. 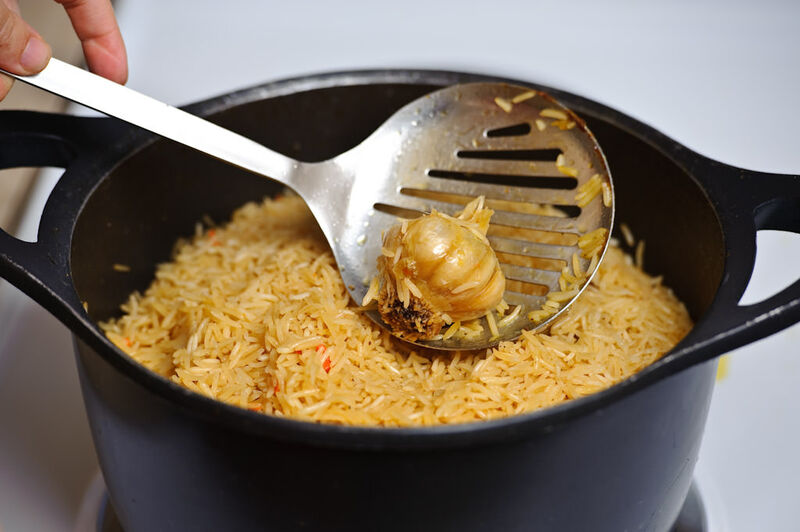 When the time is up, remove the garlic bulb and evenly distribute the rice with the skimmer. If the water is not enough, add some more water. If using the Basmati rice, keep the water level 1 inch above the rice, for any other time keep it 1/2 inch above the rice level. From this point, until Palov is ready, there is no mixing the ingredients together. You need to keep everything layered until Palov is ready. 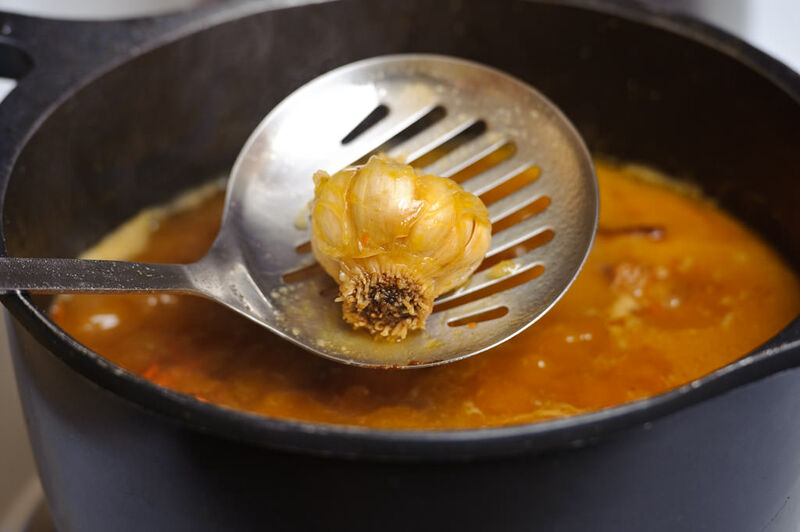 Drop the garlic bulb back in the pan. Remember – your heat is on medium. Be attentive, water may evaporate faster than you expect. Once the rice starts absorbing the water, take out the garlic bulb. Using the skimmer, flip the top layer of the rice to keep it evenly moist (this is the original way of letting the rice absorb the water. If you want to speed up this process close the lid of the pot for about 8 minutes and in medium-high heat let it stand for 10 minutes or until the rice absorbs the water. Check every 2 minutes, because you do not want the bottom of the Palov burnt). Check the sides of the pan to make sure there is no water remaining. Turn the heat down to medium-low and quickly make a dome from the rice. Put the garlic bulb on top of the rice and push it in. 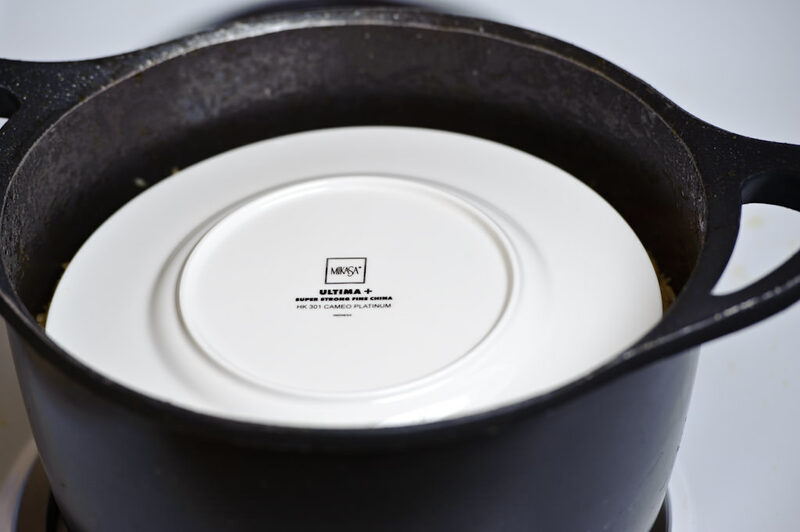 Cover the rice with a plate suitable for high temperatures. Put the lid on the pan and TURN THE HEAT DOWN TO LOWEST. In electric stoves it is 1. In Gas stoves it is barely visible flame. Let Palov rest for 20 minutes (Basmati 30 minutes). 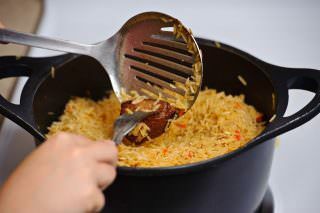 If you are using the faster method I suggested above, 10 minutes are sufficient for the rice to get fully cooked. Once the time is up, remove the lid and the plate. Remove the garlic bulb, extract the meat and mix the rest of the ingredients using the skimmer. 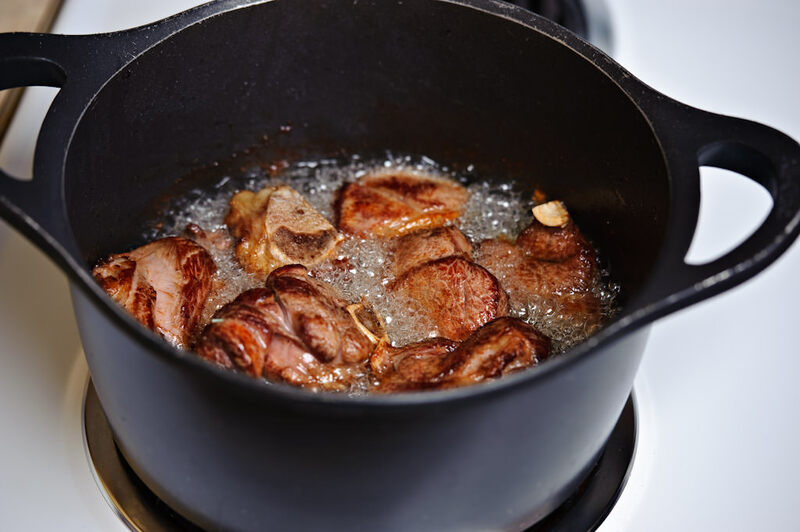 Cut up the meat into a small cubes and serve it on top of the Palov. You are welcome, Iqbol :) Keyingi safar barbaris, magiz va nahotligidan qiladigan bo’ldik. Barbaris shu konfetga nomi berilgan bir berry’ning turi (konfetning etiketkasida rasmi ham bo’ladi). Quritilgan holida palovga ko’p solishadi Toshkent taraflarda, nordon mazasi bo’ladi. Oshga nordonligi chiqmasa ham o’zi og’zingizga tushib qolsa, shirin bilan nordon aralashib, mazali t’am bo’ladi. I am going to post its picture on my blog. Okay, next time I will be careful on size of ingredients, too. I always tell my wife that the version of Palov she cooks is Ferghanian :) Seriously speaking though, she cooks it exactly the same as my mom does! Some people in Ferghana like to add chickpeas to Palov, but I have some mixed feelings about that :) The only thing that’s missing is eggs and I know that my wife doesn’t like eggs on Palov! Dilorom, well, I didn’t mention the type of rice that is used in Ferghana (devzira), because it is impossible to find it in the US. So, the biggest difference is devzira rice and eggs, since other regions sometimes like to add chickpeas to Palov as well. Dilrom, I wrote to you on facebook yesterday. Tashkent plov (to’y oshi) considered to be yellow. Ferghanian plov is called qovurma palov, the process which I show above. Another thing is people use Devzira guruch for Ferghaba plov. You know it is not something I can find in US :) Ferghanians like to cut the meat in smaller chunks, when the plov is ready they just mix everything together instead of pulling the meat out and cutting it seperately. These are the main differences. My dad used to make Ferghana type of plov almost all the time. 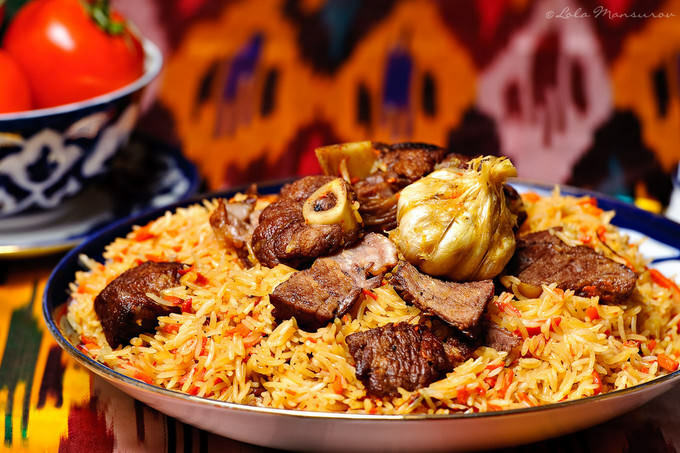 Tashkent type plov, yellow palov, is mainly made in weddings. In home, almost everyone makes qovurma palov. The rest of the ingredients are optional everywhere. Oh I see, now I got the idea. I have loved browsing your site. My parents are from Pakistan and I recognise many of your recipes, we know them under different names and the recipes vary a little but the basics remain the same. I look forward to reading more of your recipes in the future and trying them out of course – variety is the spice of life after all ! Dila, albatta! Oshning qilish usullari ko’p. Sizning o’rgatgan usulingizni ham qilib ko’raman. Aminmanki juda shirin chiqadi. Excellent! Thank you Lola! 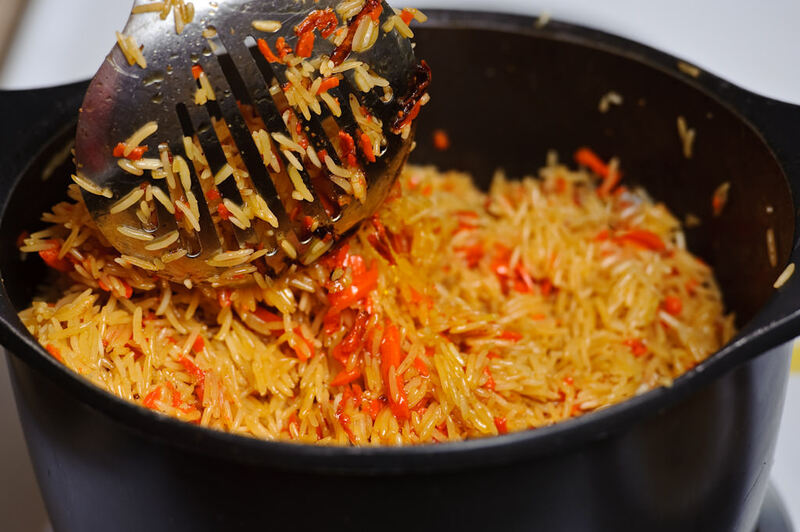 I tried this recipe with Uncle Ben’s rice and it turned out really tasty. Now I want to try the “pressure cooker” version… I hope it turns out as good… Thank you again for the great recipes! I was so excited to find your site! My husband is from the Caucasus region of Russia, but he spent many summers as a child in Uzbekistan visiting family. He always talks about the wonderful plov he had while there. I can’t wait to make it for him. I’m sure he’ll love it. Your other recipes look fantastic as well. I’m sure I’ll love trying so many different ones. Thanks for posting them! Thank you for visiting our blog Rebecca! Let me know if you need help with the steps :) I am sure your plov will come out perfect! Extend our regards to your family! If you have any other recipe requests please let me know!! It is enjoyable to use your wonderful site. I am from Tashkent and we use the same recipe (we just add chickpeas and raisins home). P.S. A friend of mine is a doctor and she sent me the following info regarding the canola oil – check it out! Deadly for the Human Body! I was looking for some new recipes, and I came accross your site, because I am also from middle asia (kazakhstan, chimkent), i am very amazed at your creations and step by step recipes, thank you so much, I have a question however about the palov, my husband likes it with chicken instead of lamb, which I know how to make, except for the water measurement. 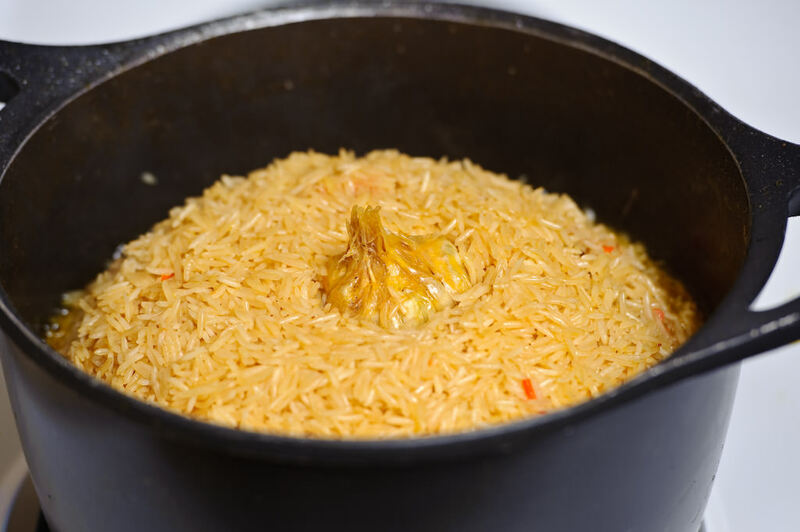 You know how important it is to have the perfect amount of water in this dish, or it will either burn or rice will be mushy, can you please guide me through. I would really appreciate it, and cant wait to try a few of your recipes this week!!!!! This recipe looks great and I have a couple of questions that I hope you can answer. ~ At what stage would I add “barbaris”? ~ If I’m using an enameled cast iron pot (like a Le Cruiset), how would I alter the liquids and/or the heat settings? I tried making plov in tat pot once before and I had a lot of it getting stuck to the bottom and burned. And the rice on top wasn’t cooked through. :( It was a disaster, really. Also, how big should the pot be? ~ If using parboiled rice, wouldn’t it take less to cook since it’s already partially cooked? Oh, and your recipes and photos really make me miss Tashkent. uh, Anna I hope I am not too late with the answers. I will do my best to answer your questions to my best knowledge. 1. 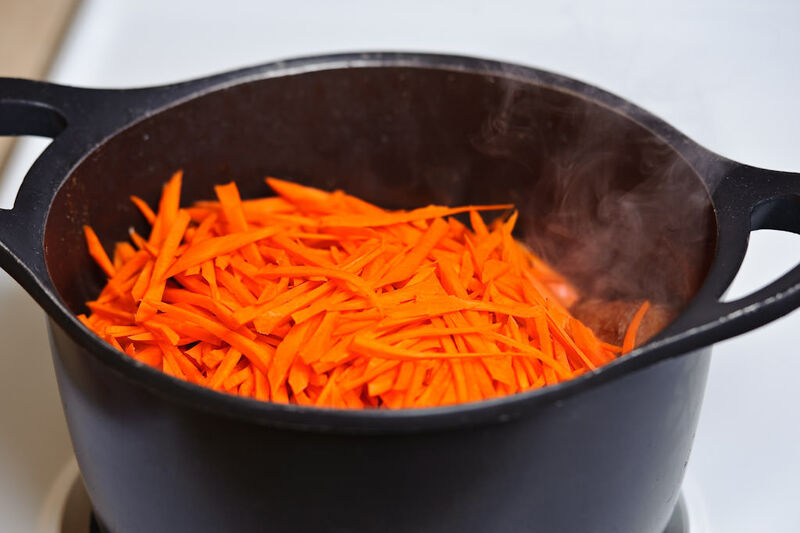 You should add barberries right after you add water after frying the carrots. 2. 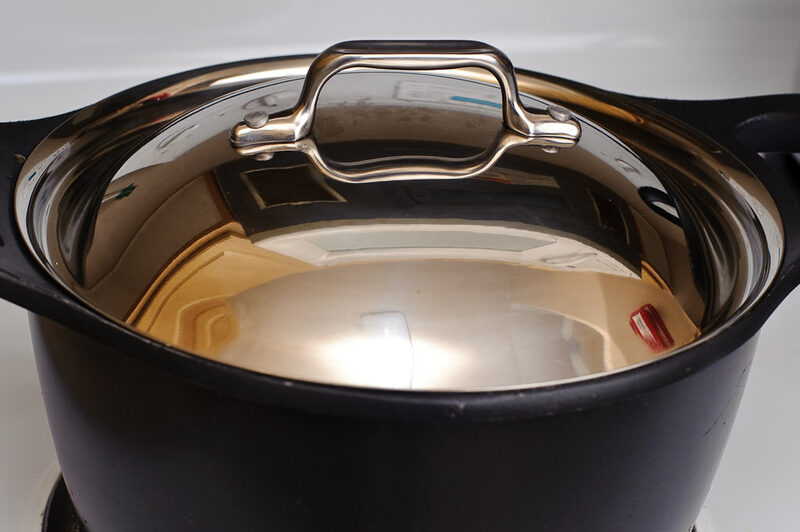 It is best if you can find a pot slightly narrower towards the bottom. I would not recommend using enameled cast iron. It will still burn at the bottom while making plov. The best way to go is either real cast iron or non-stick pot. Water measurements will not vary according to the pots we might use. It only depends on the rice type we use. I always flip the top layer of the rice once or twice during the whole rice cooking process. This way rice gets cooked well. 3. I believe it will take much less time to cook the parboiled rice. You will just have to keep an eye on it. 4. You are right about washed rice cooking faster. When you was the rice it looses much of it’s starch that helps the rice keep it’s shape well for a longer period of time. Always go by the rice type and watch the rice instead of setting a timer. Every rice out there will cook differently. I chose to use basmati since it is pretty hard for a good basmati rice get overcooked :) Maybe I am cheating there, but my family love it so far. I hope I could shed some light to the subject. If you ever come to CO, be my guest! I will make sure you get the best plov cooked in U.S. (even though it might not be as good as in Tashkent). Let me know if you need any help or assistance. I will do my best to help you out. Good luck!!!! Thank you so much Lola. I haven’t tried the recipe yet, but plan to this month. I think I’ll use my non-stick stock pot. It’ll be large enough and hopefully things won’t stick to the pan. Who would have ever though it would be so difficult to find a “kazan” in America? But then again, I live in Wisconsin and not New York (I hear it’s possible to find it there, but the stores don’t have websites so I can’t even order it online). I too will be using Basmati rice since it’s the one I can find in stores here. Though, someone has recommended me Botan brand (the one with the rose on the package). But I think as long as it’s long grain and rinsed a few times, it should be OK. Thank you so much for the invitation. And if you’re ever in WI, I would love to have you and your family for dinner. I will probably have a few more questions. And I will definitely let you know how it turns out (I’ll be adding the barabaris since my dad really likes it). I’ve used Botan before, I do not recommend it much though. it gets pretty sticky. If you like flakiness of the plov, Botan is not a way to go. I also have a questions for this recipe! I made it once and loved it, but i was wondering, if i wanted to add chickpeas and rasins to this one, at what point should i mix them in? salam :when i’ve been in this website i injoyed it : thank you very very much. I am from Englands and a big lover of Central Asian food and love cooking all persian and Indian foods as well. I am definately going to give the Plov a try. I have tried Biryani before but I over cooked the rice, so I will be more careful when I try your recipee. I’m having a party this Sunday at my community. I have tried cooking Palov a couple of times, one with chicken..I don’t know if that counts, and it was pretty good. Your method seems to have more delicate details about it. I like my palov with chickpeas already….what do you think about adding raisins to it? Thanks for the excellent recipe. 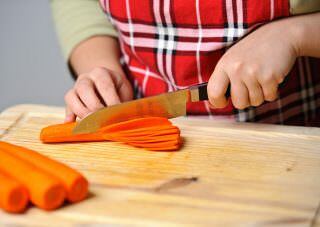 I recently started dating a girl from Uzbekistan and I am planning to cook dinner for her on Saturday night. I wanted to try to make a palov, but I was having trouble finding an easy, step-by-step recipe when I finally stumbled upon your website. The only thing I think I will change is using beef instead of lamb, as it’s a little hard to find where I live. Anyway, I love cooking, but have never attempted cooking anything from this region of the world so I appreciate your guidance! I’ll let you know how it goes this Saturday . . .
2) Adding the rice with the skimmer. All my rice settled to the bottom!!! Am I doing something wrong? 3) It took much longer than 8 minutes with the lid on med-high for the rice to cook. And subsequently the bottom got burnt. Any tips are appreciated! Thank You! Mashallah very nice instructions you have put up for the Plov. can wait to make it. I have seen people use mutton fat in the cooking process. when is that added and how much? Thanks again and God Bless. Juda yaxshi recept. The best recipe so far. This is the first time for me to reading something about uzbek palow. 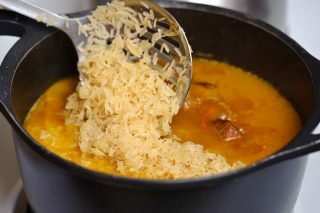 One of my clients from uzbekistan strongly adviced me to search something of the dish. And now i am curious about wether the palov can be made in chinese family, i mean, do they have the same taste? Thank you so much for sharing your recipes! I liked your recipe about somsa especially. It’s very clever of you. I’m from Tashkent, now living in NY, and I’m planning to make plov this week for dinner, could you please tell me, how big is your pot? 5 quart or 7 quart? so that i could calculate the amount of ingredients. How did it turn out? My pot is about 7qt. You know… in Uzbekistan never used tbs, oz….or whatever. So all the world want to read this in metric system. Perhaps this site is only for USA. After watching a picture of Palov in the Facebook, now I am very much interested about this lovely yummy dish. I am just wondering what did you use to make your dish more colorful ? Did you use Tanduri spice or something familiar to that ? Thanks for your recipe. Rahmat sizga kottakon za vse retseptla uchun, judayam detalni chuntirgansiz. Uja lag’mondan tortib osh i teftelniyam qilishni o’rgandim. Rahmat sizga! M from Pakistan . My dad recently went to Uzbekistan on some project n he’s living in Ferghana valley enjoying the people , culture, the environment , the purity n variations .. Just told me that he’s gonna attend a wedding in morning (7am) over there where there special dish ‘osh’ will be served after serving of a special soup ‘shourpa’.. 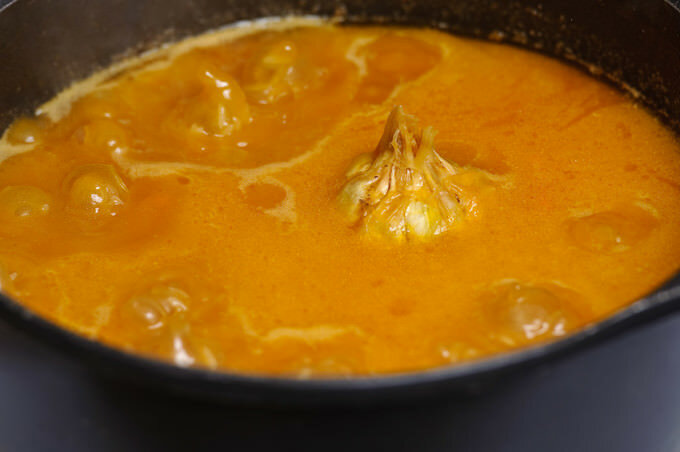 Impressed , I searched the net n found a great recipe , m sure added a little more spices , it won’t be alien to our regional cuisine ..
Will be following u for sim other great recipes as well . Thank you for your beautiful photos and recipe! I lived in Tajikistan for a year and visited beautiful Uzbekistan and have been missing my friends from there and the delicious osh every since! I’m looking forward to making osh this week for some friends. I’m sure mine will never be as good as the osh I had in Central Asia, though! When my mum and dad got married :) dad wanted to prove to her that he made a betta plov and his plov turned out betta :):) and from then on mother could never say she cooks betta plov :) so so funny! 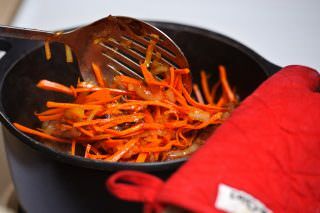 Will make your plov this week :) yum yum! I’ve never heard of plov until now and I will try to cook this at the weekend. It sounds great and I hope it will taste great, too! Thanks you for the recipe!! Thank you very much for this receipt. The only thing I could add is that lamb is very tricky meat. It is difficult to find lamb well enough (for instance, in Moscow, where I live). That is why I usually put beef into my plov. It means if you use 1 kilo of meat, than you should take 1 kilo of carrot and 1 kilo of rice. Thank you again for this awesome recipe! Plov, as we used to call it over 20 years ago, brings back memories from my days in the former U.S.S.R. Those were some of the best years in my life. Tashkent, Samarkand, Bukhara, Alma-Ata, Frunze…..
What is the different between Uzek Palov and Tajik Orsh or Palov? Hi Peter, no much difference really. Tajik palov usually is darker. 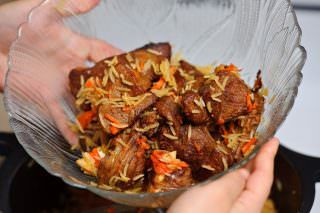 Traditional Uzbek plov, the one would eat at weddings is going to be yellowish in color. Whereas Tajik plov will always be darker. I had cooked with your recipe and it turned out very tasty. Thank you. The colour of my rice is brown in colour. How to get it yellow in colour? That’s awesome to hear, Peter. If you want a yellowish rice, the key is not to overfry the onions. Frying process of the onions gives the rice its color. Keep it a little more on a lighter side. 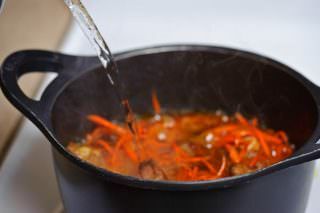 Additionally, you can add a little bit of (1/4 tsp) turmeric, when you pour the water in the pot and bring it to boil. With combination of lighter onions turmeric you will have rice that is yellow in color. Hi Lola.Thanks for this great recipe. I live in the US, Chicago. 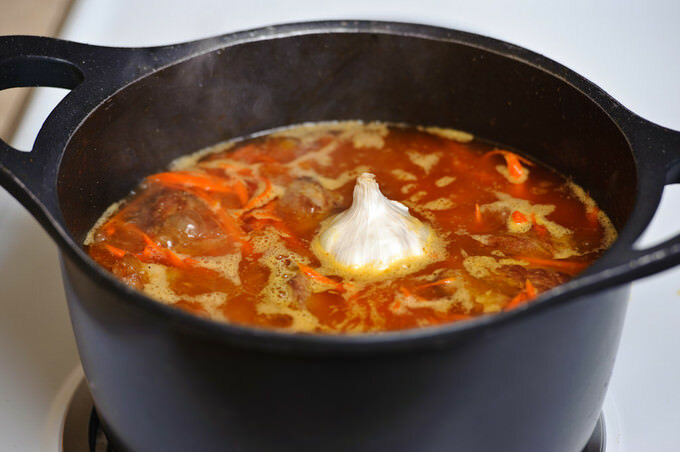 Where can I find the best kazan (5-6 liters) and rice for plov? To be honest, I don’t like basmati rice. If I have no choice and have to buy Basmati rice, do you soak it for 1-2 hours? You taught me how to make the most delicious Palov. My family is very happy. Nice recipe, good pics. Clearly it hit a spot if people still comment after 8 years. Hi Mike, I guess so! It’s been such a long time ago, it seems. I definitely have changed my methods of making this dish and contemplating if I should update this recipe or post a new one since that one is going to have some extra ingredients and a slightly different method of cooking. What say you?